Charles Robert Darwin is often the subject hate speech and character assassination. Popular ad hominem attacks include linking him to Hitler, the holocaust, Stalin, eugenics and any and all horrible things. Ray Comfort wrote a forward attacking him put it in front his book “The Origin of Species” and handed it out to college students. Ben Stein, that guy from the Clear-Eyes commercials, made an entire “documentary” film bashing him. With so much vitriol in his direction you may think he’s holding rallies and inciting riots, but he’s not: he’s dead. He’s been dead since 1882. That’s right he’s been in the ground for more than a hundred years. Part of me wants to be that influential. It’s not likely I will have a picture of my head on an apes body on both Wikipedia and Conservapedia. The general problem is that even if Darwin was a despot (he wasn’t) who wanted to kill all inferior peoples of the earth (he didn’t), it wouldn’t do anything to damage the credibility of evolutionary biology. His discoveries stand on their own and have only been added to since he first presented them. Even scientists who are in some way considered evil still have their ideas and works count. Discovery is discovery and truth is truth no matter who presents it. The 12th of February has become known as Darwin day. By the time I remembered there wasn’t enough time to make a post worthy of celebrating it. It’s my hope that this day gain more notoriety, official recognition, and perhaps a spot on the shelf next the Valentine’s Day heart shaped pomp and circumstance at the grocery store. Next year please don’t forget to join me in celebrating this heavy weight champion of Science Education! Tyson can be controversial. He hits pretty hard and is always smiling. Several groups can’t complain enough about him. They think he’s arrogant. They KNOW he’s dangerous. But Neil de Grasse Tyson will not back down. I can scarcely imagine the volume of hate mail he gets on a daily basis. 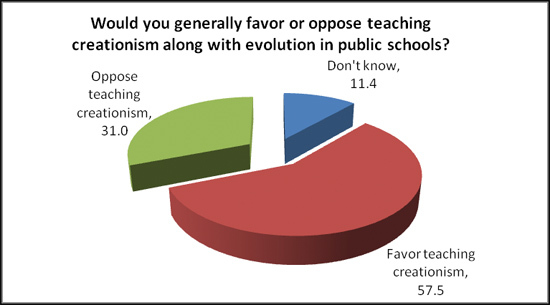 Young earth creationists, anti vaxxers, religious fundamentalists, flat earthers– and anyone else who gains from keeping people stupid or ignorant– are chomping at the bit to tear him apart at any moment. He wants people to learn. He wants science to be at the forefront of our national dialogue. When Fox brought back Cosmos and he became the host I made sure to watch every episode. For these reasons he is one of my all time heroes. To be fair, if I were to fight someone in a cage match, I would probably be more likely to beat him over Mike Tyson, but if I were the Discovery Institute trying to keep evolution out of the classroom I would do everything I could to stay under this man’s radar. Other science education heavy weights include his Cosmos predecessor Carl Sagan, whose passion for the pale blue dot we call home continues to inspire future scientists everywhere. Jane Goodall has taught the masses about the extraordinary animal kingdom. Richard Dawkins, professor of evolutionary biology at Cambridge University, who battles pseudoscientific nonsense like homeopathy and intelligent design constantly & Stephen Hawking has expanded our understanding of the universe and continues to teach the world. Bear in mind that this an incomplete list. There are a great many others throughout the world and the history of human kind that deserve to be on this list. 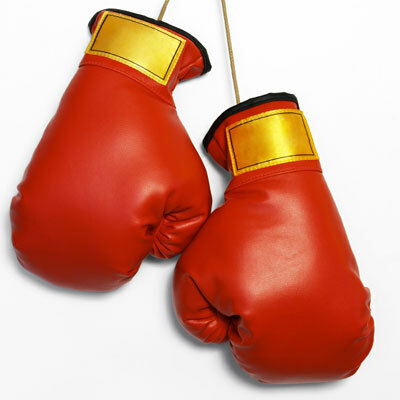 Let me know who you think deserves to be considered a Heavyweight of Science Education. 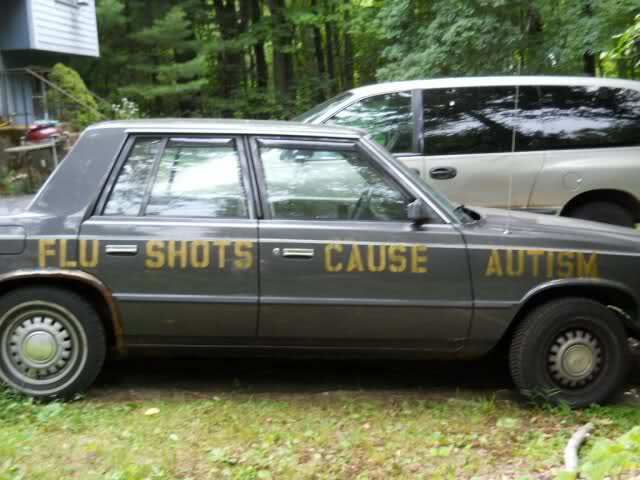 “Flu Shots cause autism” was spray-painted on the car of someone I used to work with. Luckily he was an unbathed and unkempt deadbeat; his car would get lost forever if he parked it in a junk yard. His reach was limited. Few of us would bother listening to him or care what he has to say. The problem is that he’s not the only one spouting this nonsense. An outbreak of well-to-do socialites, celebrities, pundits, and politicians have begun publicly spouting the same poorly researched garbage. Sean Hannity, Jenny McCarthy, Jim Carrey, Charlie Sheen, Bill Maher, Billy Corgan, Mayim Bialik, Alicia Silverstone, Rand Paul, Chris Christie: all of these people, all of whom have a vast number of followers, have contributed to this problem. When they speak, write, or appear- people listen! They all drive cars that would stand out in a junk yard. But NO they are not scientists or doctors, and they have no special insights when it comes to this subject. According to NOVA’s website “The assertion that vaccines could be linked to autism burst onto the international stage with the 1998 publication of a paper in the British journal The Lancet. Sensationalist media coverage of the claim followed. The paper, which suggested a link between the measles-mumps-rubella (MMR) vaccine and autism, was eventually retracted in 2010.” The article also points out that most of this was retracted even before this in 2004. The bottom line is that the vaccination is one of the greatest inventions in all of human history. Flu-shots save lives. MMR (Measles, mumps & rubella) shots save lives. Welcome back measles and other preventable diseases. The first stop: wherever children of anti vaxxers congregate. Vehicle identical to the one I described. If this isn’t it, it’s the vehicle’s identical twien of anti vaxxers congregate. Patterns can be tough to stomach. For the second week in a row I find myself trapped to a degree in my own home. The wind is not as severe. My dog is willing to venture outside without much coaxing. We had some family play time on the snow mound I made. I even did some shoveling. The last storm caused a number of closures that I wasn’t used to seeing; the mail stopped, grocery stores closed, even our local doughnut shops closed their doors. My employer paid people to sleep over to prevent the phones from going unmanned (I was not one of them). One might consider this is evidence of a wider problem. However, on its own it really doesn’t mean much. Science leaves room for flukes and coincidences. A single event can and should be considered anecdotal evidence at best. Patterns are necessary to form solid logical conclusions. Even a second major storm inside of two weeks doesn’t hold a great deal of significance in a wider scale. That is why you’re probably used to hearing about the many years of data that supports the globe’s temperature changes over time. Years of Living Dangerously is an Emmy award winning documentary from Showtime. 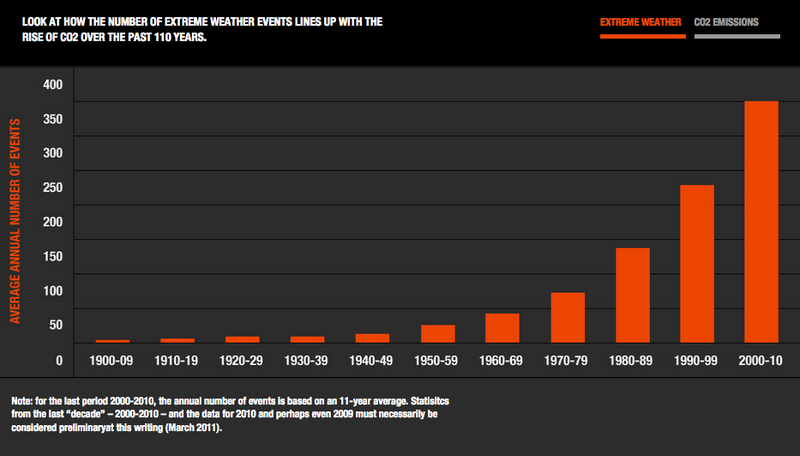 Their graphs show a chilling correlation between CO2 emissions and severe weather events. The following script is for a TV ad. The target audience is young people 13-30 male and female from all walks of life. Television is an excellent way to snag a new audience. I will be redirecting them to my blog, Facebook, and Twitter pages. A map of the US appears. A mournful version of America the Beautiful plays in the background. Narrator 1: In Tennessee a biology book was teaching children that the Loch Ness monster was a living plesiosaur. Images of the Loch Ness monster appear. Narrator 2: In Kentucky a group is raising money to build a “historically accurate” Noah’s Ark. Images of Noah’s Ark appear. Narrator 3: In 2013, nine anti-science bills were introduced in seven states. Those states are high lighted. Narrator 4: Congress has failed to address climate change again and again. We start seeing the somber faces of the impassioned narrators. Narrator 1: This has got to stop! Narrator 2: The United States is ranked 52nd in the quality of mathematics and science education. Narrator 3: Survival of the Wisest is a campaign to raise money and awareness for science education. Narrator 1: Together we can find a cure for stupid! Every snowstorm, ice storm, blizzard, squall- brings out Facebook posts, Tweets, exposing the grand conspiracy of “Global Warming.” I’ve had friends and family post this tripe. Sometimes I engage them. Sometimes I ignore them ( this may be part of the problem). The argument boils down to this; its cold therefore everything is fine. Today schools across the state of New England and even New York are closed to prepare for the “Snowpocalypse.” The news is touting this as the biggest storm in years. Doesn’t a lot of snow mean that “Global warming”is lie? Well, no. Part of the problem is the term itself. 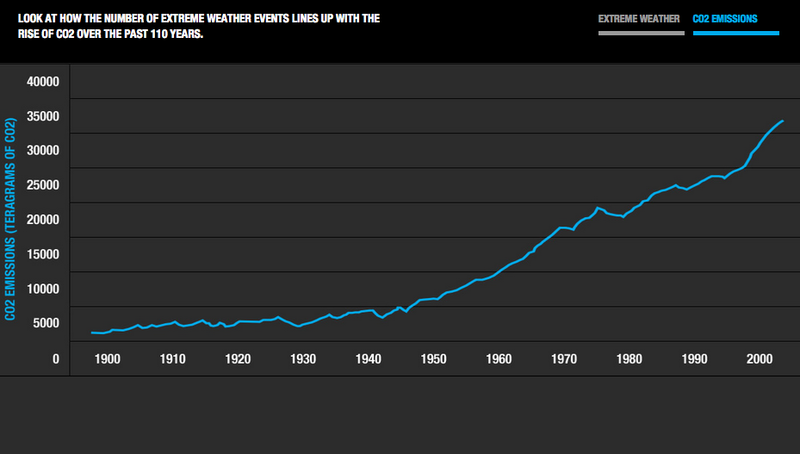 According to NASA “Global warming” “refers to the long-term warming of the planet. ” Modern science has tried to re-brand this issue as “Climate change.” The world is still getting warmer. In fact “Global temperature shows a well-documented rise since the early 20th century and most notably since the late 1970s.” The problem is essentially the same, but “Climate change” implies that we have more than just heat to deal with. According to the National Wildlife Federation “(it’s) making hot days hotter, rainfall and flooding heavier, hurricanes stronger and droughts more severe.” Their website also goes on to say, “Many areas are seeing bigger and more intense snowstorms, especially in the upper Midwest and Northeast.” Translation: lots and lots of crappy weather. Today’s big storm is brought to you by self delusion. Plain and simple. Theory or fact? Science or pseudoscience? Fantasy or reality? How do we know what is true? For that matter how do we know what to teach the youngest and most impressionable? Today news broke of a 17 year-old posing as a doctor. He had the lab coat, a stethoscope and was able to frequent a hospital in Florida for an entire month. According to his mother he was mentally ill, but this situation underscores the problem. Looking like a doctor does not make you a doctor, in the same way that looking like a scientist does not make you a scientist. Real science takes a great deal of work- any and all ideas can be presented in science, but only the absolute minority can make it through the process. Science begins with evidence and searches for conclusions. Creationism or intelligent design, begins with a conclusion, and spends its effort trying to find evidence. That being said anyone can call anything a evidence, but the scientific community will not accept just anything without rigorous evaluation. 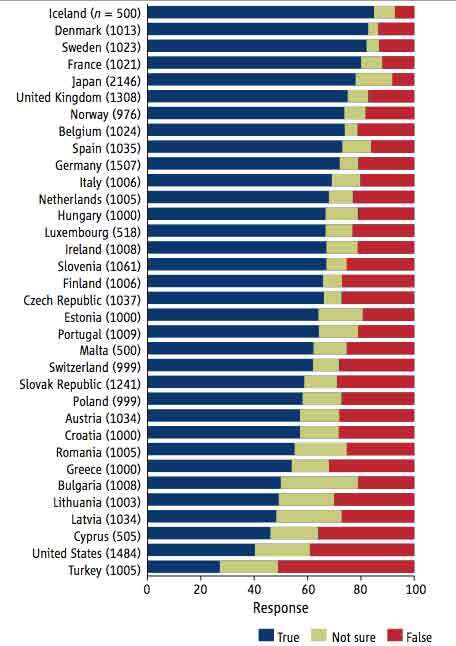 According to National Geographic, evolution is less accepted in the United States then in many other western countries. The shows just how much progress creation groups have made in this country. Creation “scientists” present no credible evidence, no peer evaluated papers and deserve none of the respect that should be given to real scientific community.